Your well-being begins with a healthy microbiome. 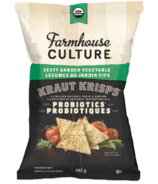 At Farmhouse Culture, they see themselves as food liberators! They challenge convention to shake off the shackles of sleepy, static food. Side-by-side with those unsatisfied, they passionately champion food that is vibrant and alive, for they believe this is what helps us all thrive. Working together, they are cultivators of change. In an over-anxious world, they believe in the power of simple, hard working foods. That nurturing a happy, healthy and harmonious relationship between body and food can help us reclaim our well-being and spark a health revival. They are tireless dreamers. 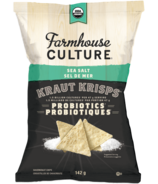 As hands on food enthusiasts they never tire of dreaming up delicious probiotic-rich foods and beverages grounded in their farmhouse culture. They share their passion and knowledge freely to transform lives for the better. 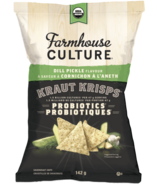 This is Farmhouse Culture and they're here to ferment a food revolution!